Eighteen months after the destructive battle with General Zod in Metropolis in Man of Steel, Superman has become a controversial figure. 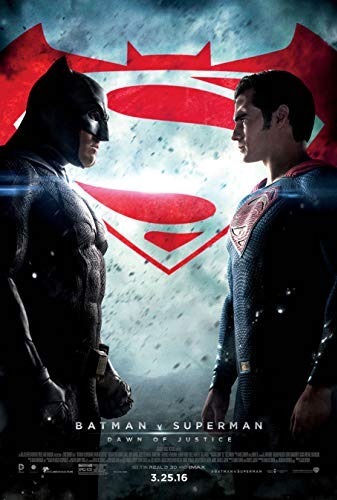 Billionaire Bruce Wayne, who has operated in Gotham City as the vigilante Batman for nearly two decades, sees Superman as a potential threat to humanity. After learning of Batman's form of justice, Clark Kent, Superman's alter-ego, seeks to expose Batman via Daily Planet articles. Wayne learns that Russian weapon trafficker Anatoli Knyazev has been contacting LexCorp mogul Lex Luthor. Meanwhile, Luthor unsuccessfully tries to persuade Senator June Finch to allow him to import kryptonite retrieved from the Indian Ocean following Zod's terraforming attempt, claiming he wants to maintain it as a "deterrent" against Kryptonians. He instead makes alternative plans with Finch's subordinate and gains access to Zod's body and the Kryptonian scout ship. Read more on Wikipedia.